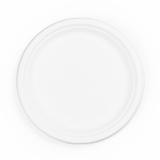 This is 7-inch (178mm) plate is made from bagasse which is a dry fibrous residue left once sugar cane has been pressed for juice. 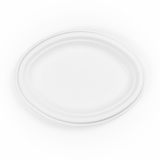 As with our takeaway boxes, these plates and bowls are pressed into shape in a high-heat, high-pressure process. 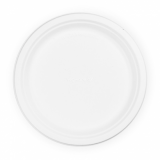 Surprisingly the result is a plate that is stronger than a paper plate and happy with hot, wet or oily foods. 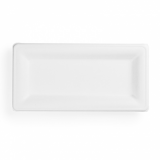 And just put it into food waste for composting after use! 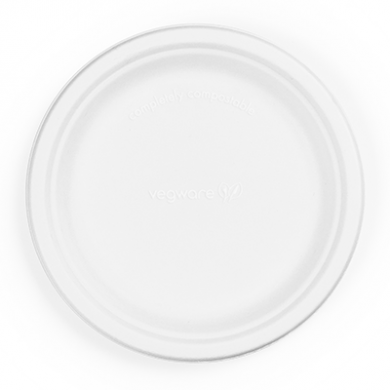 Sorry - We are out of stock of Bio Compostable Plates - 7inch (Pack of 50).